More than one in three Americans start off each year making resolutions to achieve financial goals, Fidelity Investments research shows. Saving more, paying down debt, and spending less are three of the most popular goals Americans pursue. But fewer than half of those who make financial resolutions achieve 80 percent or more of their goals, and only six in 10 are still sticking to their goals a year later. The foundation for achieving financial goals is clarifying what those goals are. Mapping out your goals in terms of specific milestones can help you better chart your plan of action and monitor your progress. Before pursuing any other savings goals, you should save up a $1,000 emergency fund to cover expenses such as medical emergencies or car repairs, recommends financial advisor Dave Ramsey. After this, prioritize paying down non-mortgage debt, so that the money you save isn’t going toward paying interest. Once you’ve achieved this, you should increase your emergency savings fund until it’s large enough to cover three to six months’ worth of living expenses in case you find yourself temporarily out of work. After achieving these preliminary goals, you can divide your savings goals into short-term, mid-term, and long-term goals, recommends Bankrate. Short-term goals include items such as saving for a new car. Mid-term goals include saving up to put a down payment on a home or saving up for your child’s college fund. Long-term goals include paying off mortgage debt and saving for retirement. To pursue your goals, you may find it easier to break them down into smaller benchmark goals. For instance, you might set a goal of saving $200 of your paycheck this week, using 20 percent of your paycheck this month to pay down debt, or paying off one of your credit cards by the end of the year. In order to pursue your financial goals, you will need to follow a budget. A simple budgeting strategy is to follow the 50/20/30 rule. This guideline advocates putting 50 percent of your monthly income toward paying for necessary expenses such as rent, 20 percent toward paying off debt and pursuing savings goals, and 30 percent toward variable expenses, which can include items that don’t cost the same every month such as gas or groceries as well as luxury items such as eating out or going to the movies. The easiest way to stick to a budget is to automate it. You can use a mobile device with robust security features such as a Galaxy Note8 to manage your budget on the go and set up orderly bill payments and savings deposits. A good mobile app for managing your finances is Intuit’s Mint, which allows you to create budgets, see all your accounts and bills in one place, schedule automated payments and reminders, and get tips on how to boost your credit score. If you have a great deal of debt, pursuing savings goals becomes considerably more challenging. One strategy you might be considering is debt consolidation. 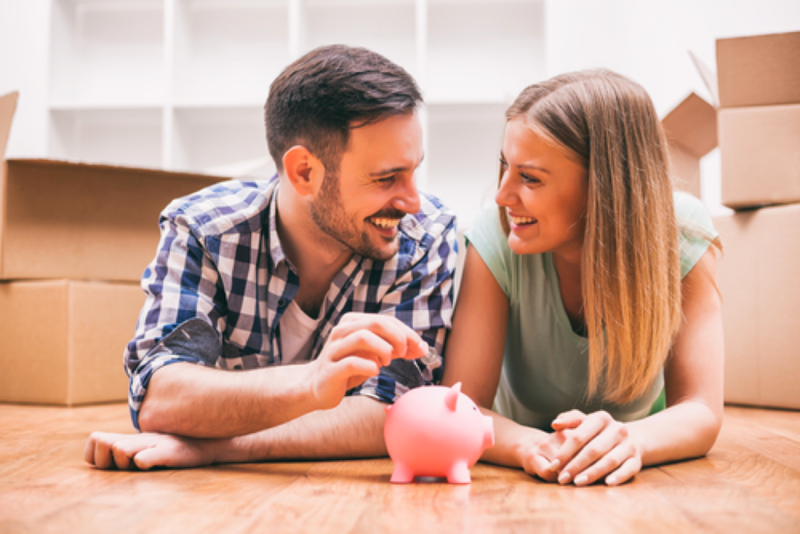 Before pursuing debt consolation, you should be aware of when it works and when it doesn’t, says NerdWallet consumer credit and debt reporter Amrita Jayakumar. Debt consolidation typically involves getting a 0 percent interest, balance-transfer credit card or a fixed rate personal loan. In order for these options to work for you, you must have a credit rating good enough to get a credit card or a loan. Additionally, your debt should not exceed 50 percent of your annual income, you should be able to pay off your debt within five years, your cash flow should be high enough to consistently cover your debt payments, and you should have a plan for avoiding running up additional debt. If you meet all these criteria, debt consolidation may work for you. If your debt is lower than 50 percent of your annual income, you probably would not benefit much from debt consolidation. If your debt is higher than 50 percent of your income and you cannot pay it off within five years, you may be better off considering other options such as debt relief. For many people, one major source of debt is student loans. If you have high student debt, consider looking into loan forgiveness options. The Department of Education’s Federal Student Aid site provides information on loan forgiveness and related options such as loan cancellation and discharge. Setting milestone savings goals, automating your budget, and using debt reduction techniques are three ways you can go about meeting your financial goals. Using these strategies can help you focus your financial planning, stick to your budget, and pay off your debt faster.